This entry was posted in news special editions and tagged MC40 Rauno Aaltonen on September 14, 2011 by James Day. 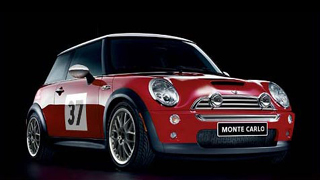 According to Leftlane, MINI will produce a limited-edition MINI Cooper S Monte-Carlo for the European market only. There will be just 200 made, each numbered on the side scuttle and steering wheel. MINI rally legend Rauno Aaltonen signed each MINI. 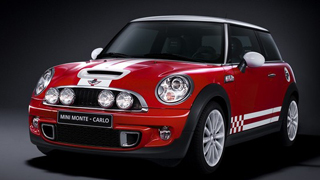 Longtime MINI fans will remember that MINI USA sold the limited-edition 40th Anniversary MINI Cooper S Monte Carlo Rallye Commemorative Edition (better known as the MC40) back in 2004. The MC40 was limited to 1,000 examples and each was individually numbered on a commemorative plaque with Paddy Hopkirk’s signature. Sport Package, R90 17″ Anthracite Cross Spoke Wheels, Dynamic Stability Control, 2 Driving Lights, 3-Spoke Leather Sport Steering Wheel, Front and Rear Fog Lights, Xenon Headlamps with Power Washers, Chrome Side-View Mirrors and Exterior Details, Commemorative “Rallye Monte Carlo” Body Decals, a GB Badge, Replica 33EJB Number Plate Decal, Magnetic #37 Door Panels, Carbon Fiber Dash, Matte Chrome Shift Knob with MC40 Pattern, Auxiliary Gauges, Special Red and Black Leather Rallye Seats, and an Individually Numbered Commemorative Plaque with Paddy Hopkirk’s Signature. Features White Racing Stripes and White Side Stripes, White 12-Spoke Wheels, 4 Driving Lights, Chrome Line Exterior, Fog Lights, Xenon Headlamps, White Painted Bonnet Scoop, White Painted Gas Cap Surround, “Monte-Carlo” stitched seats, Red and Black Two-Toned Steering Wheel, Numbered Monte-Carlo Keychain. Options include: JCW Tuning Kit, JCW Aerodynamic Kit, JCW Brakes, Automatic Transmission. This entry was posted in facts and figures and tagged MINI Coupé specifications on September 14, 2011 by James Day. 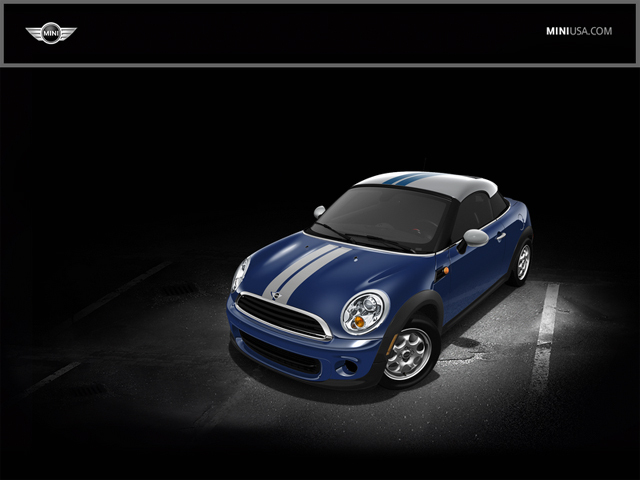 MINI USA has released the complete technical specifications for the new 2012 MINI Coupe range. Download the 2012 MINI Coupe technical specifications.